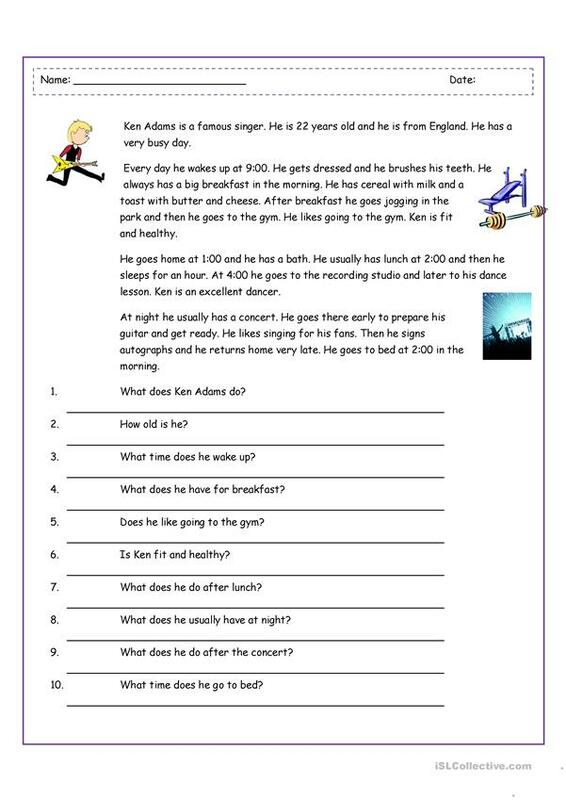 Students will read about the daily routine of a singer and answer questions using the present simple. This downloadable teaching material is a great resource for elementary school students and adults at Beginner (pre-A1) and Elementary (A1) level. It is aimed at teaching Present simple tense in English, and is excellent for strengthening your groups' Reading and Writing skills. It is about the topic and words of Daily routines.